How much longer will Microsoft patch Internet Explorer? That's a question Windows users who still run the aged browser should ask themselves. The answer? Only Microsoft knows for sure. But there are signs that the Redmond, Wash. developer won't support Internet Explorer (IE) as long as it's promised. Although IE has been demoted to legacy status - it's been three years since Microsoft halted development of the browser - the firm pledged to deliver security updates through the lifetime of any operating system with which the browser was bundled. "Internet Explorer 11 is the last major version of Internet Explorer," Microsoft stated. "Internet Explorer 11 will continue receiving security updates and technical support for the lifecycle of the version of Windows on which it is installed." Because IE11 is included with Windows 10, notably the static LTSC (Long-term Service Channel) edition, that promise meant Microsoft has effectively locked itself into forever support. Windows 10 Enterprise LTSC 2019 - which debuted just months ago - will be supported until 9 January 2029, or nearly a decade from now. IE11, then, is supposed to receive support until that date, too. But it's hard to envision Microsoft following through on its support guarantee for another decade when IE's browser user share has not only collapsed but when that collapse shows no sign of ending. In January 2016, when Microsoft forced Windows users to upgrade to the latest version of IE supported on their OS, the browser accounted for 48 per cent of all browser activity on Windows PCs. By December 2018, IE's share had plummeted below 10 per cent. A year from now, IE's user share will be less than five per cent if its decline continues on its 12-month pace. There's nothing stopping Microsoft from bailing out on IE support. It wouldn't even be the first time. Microsoft's August 2014 order to Windows users that they upgrade to the most-recent version of IE scratched a year of support from IE7, four years from IE8 and IE9, and a whopping seven years from IE10. Only IE11's support remained intact. The ruling was unprecedented in that no browser maker had ever commanded users to abandon a browser with support still owed them. Users squawked, of course, yet most complied: Last month, three-fourths of all IE user share was from IE11. (The downside for Microsoft was that hundreds of millions dumped IE for Chrome when told they had to change browsers one way or another.) But the sky didn't fall, the planet continued to spin. In fact, Microsoft has made a habit of yanking support, including from Windows. In early 2016, the company announced that PCs running the latest silicon from Intel and AMD would not be supported by Windows 7 and Windows 8.1, effectively curtailing full use of those operating systems years before they were slated to be retired. It wouldn't be a radical move, then, if Microsoft decided IE no longer needed to live. 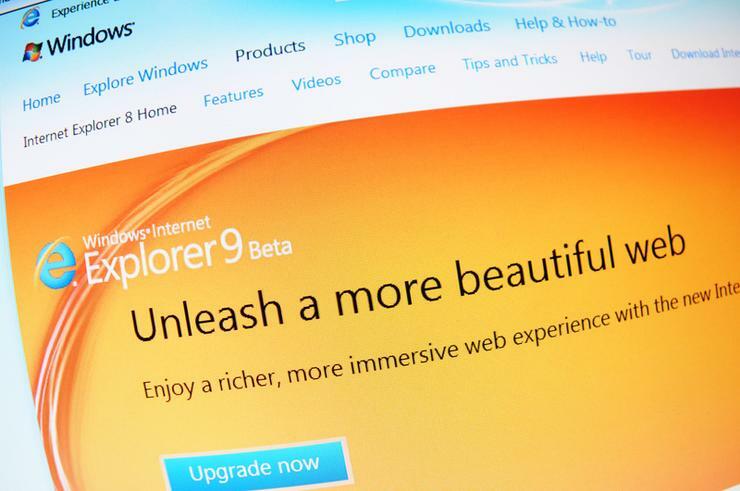 It could announce the impending, and early, retirement of IE11 using some of the same justifications that it trotted out when in 2014 it slashed support for the browser and in 2016 for Windows 7 and 8.1. "Outdated browsers represent a major challenge in keeping the Web ecosystem safer and more secure, as modern Web browsers have better security protection," asserted an IE marketing executive in August 2014 to explain why Microsoft would soon bar older versions. Microsoft could simply repurpose the bit about "outdated" as grounds for shutting down IE11 support; the browser has now gone untouched for three years, after all, and is even more behind rivals like Chrome and Firefox than that. If Microsoft were to dump IE, when would be the best time? The logical moment would be when Windows 7 - currently the world's second-most-popular operating system - is itself retired 14 January 2020. IE and Windows 7 have a relationship, forged in the years when the browser accounted for more than half of all user share, that simply doesn't exist between IE and Windows 10; in Windows 10, the browser was never more than a sop to backwards compatibility. Not coincidentally, by that time Microsoft should be finished with its conversion of Edge to the technology that powers Google's Chrome. The transformation of Edge, announced in early December, is to take place "over the next year or so," a Microsoft executive said a month ago. The "full-Chromium" Edge - called that because Microsoft will adopt the Chromium open-source code to power its browser - will be available not just for Windows 10, but also for Windows 7 and Windows 8.1. The appearance of full-Chromium Edge will be the perfect time for Microsoft to dump IE. To Computerworld, Microsoft's admission that it needed a web-compatible browser - neither IE or Edge were that, not in an age of Chrome - was a strong signal that IE's days are numbered. + The idea that Microsoft would support IE indefinitely was absurd on its face: At some point commercial customers must be responsible for updating whatever has required IE (most likely, web apps and/or intranet sites). By Windows 7's retirement, Windows 10 will have been available for four and a half years. Microsoft can end IE's support within Windows 10 by arguing that it has given enterprises plenty of time to get out from any under legacy burdens. + If Microsoft had not extended IE's lifespan by including it with Windows 10, the browser's retirement would have synced with Windows 7's. Microsoft can use that as justification for knifing IE. + Plenty of users will run Windows 7 post-retirement. (Corporate customers can extend support for Windows 7 by as long as three years.) Microsoft wants its own browser, a credible one, for the post January 2020 Windows 7...and IE ain't it. + There is no such thing as coincidence. The synchronisation of Windows 7's retirement (and Windows 10 replacing that predecessor) with full-Chromium Edge's availability is no accident.